There's never a good time for such things, but we need to talk. While you've wasted a lot of our time and money on dead ends, I still have hopes for you. While anyone else might look at what you've done -- the lies, the smoke and mirrors, the way you would sometimes dress up our future so nicely and then go out and cheat on it with someone who only wanted our money -- and walk away, I want to give it another go. I mean, just last fall you wrote and signed that note giving me what I need to be me, telling me I can go out there and do what I need to do and you will support me all the way. It gives me hope. Call me a dreamer, but I think this relationship can be salvaged. I know most are focused on plans for 2016, but if we're honest we both know you aren't going to do anything new this year. Even as I move ahead. That's because in 2017 a new president will try to create their own Kennedy legacy by redefining space -- so you will freeze until then, polishing your animations and waiting for the shift. But this time it may surprise you. Why? Because the Next Space Age already started, will not freeze, and by the time new players get into office will be so obvious as to make pitching re-worked plans to re-create our past in the future seem ridiculous. Call it disruption or what you will -- by the end of this year, Washington will be facing a new space reality. This isn't black sky speculation. I am not prognosticating about some far-off may-when. It is happening now -- and accelerating. 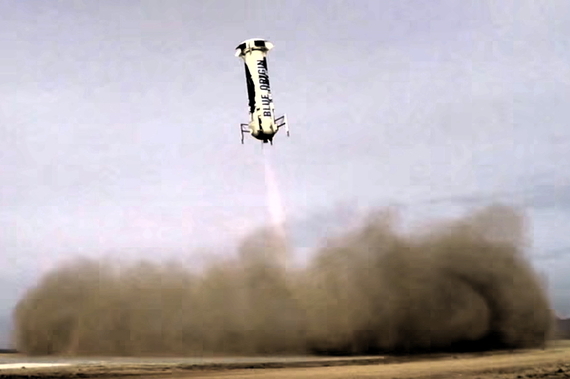 Blue Origin and SpaceX showed reusability from space (OK, Elon, you went to orbit and Bezos went to space), and others will follow soon -- Virgin, Vulcan, Sierra Nevada and even Boeing. And that is just in the United States. And thanks to lot of folks right there in D.C., the pro-frontier/pro-citizen U.S. Commercial Space Launch Competitiveness Act of 2015 is now law, including laying the groundwork for a space resources industry. A year from now at least two space resource companies will be flying experimental spacecraft in Earth orbit as the first steps of a quest to mine asteroids. The first commercial space modules will be in orbit soon too, perhaps attached to ISS, perhaps on their own, presaging the era of private space facilities. These developments will give citizens something we never had before: the ability to go to and from the frontier frequently and cheaply, places to go to when we go, and soon the ability to buy supplies, propellant and materials on location when we get there. Notice, while some are enabled by legislation and contracts, not one of these advances is coming from the government space program itself. Not one. We cannot argue their heritage and fledgling dependency isn't based on NASA and Defense Department contracts. But we can argue the relevance of the government program to them, and to opening the frontier itself within just a few years. This is both a threat and an opportunity. The threat is that some of you will continue trying to keep the status quo by starving and sabotaging your own citizens' work to innovate on the platforms created in the first Space Age -- assuring your eventual irrelevance. The opportunity is a new administration and congress recognizes the future in the headlines as these next space teams pull off each new success, stops parasitic dead end programs and restructures the national space agency and its techno-political income production complex to support the children it created opening the greatest frontier in human history. Of course, as in most dysfunctional relationships, the solution is simple, common-sense-based, and only needs to be acted upon. First, let's declare our shared goals. 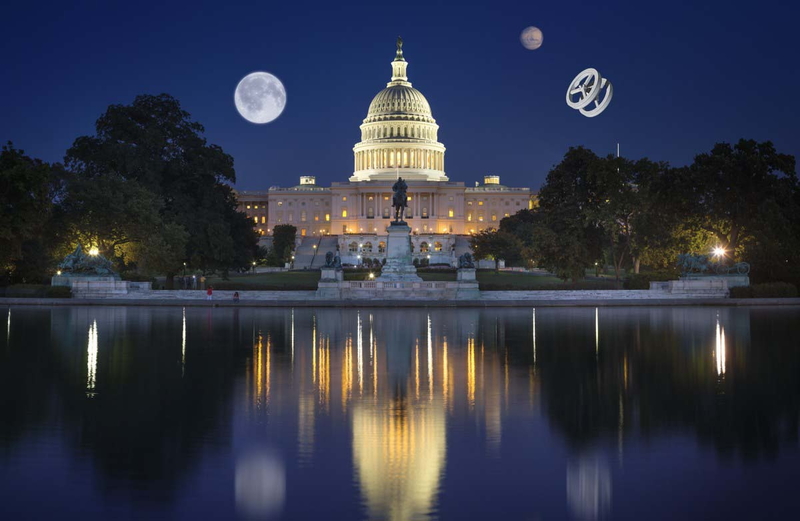 Last winter in Washington, with the Pioneering Space Declaration, leaders from industry, government and the community agreed economic development and settlement are the goals of our national human spaceflight program -- along with exploration. The next administration and congress must codify these goals. Next, we must align plans and actions to goals. Government should support -- and benefits from -- economic development and settlement. The oft-used analogy of building highways and supporting infrastructure -- not driving the vehicles or the industry -- fits. Government paved the on-ramp to space, now the vehicles taking us up to the space highway are being built by citizens, leveraging off government-catalyzed technologies and needs. The government should no longer compete in this area. It (you) will fail. You can get ahead of the curve by using your power and money to develop the intersolar highway system and infrastructure. Focus aerospace dollars and powerful space centers on design and construction of in-space tech, leveraging decades of experience and spending on projects from Apollo to the ISS. Hire Boeing, Lockheed and Bigelow to develop large cycling solar system class clipper ships that never touch the ground to carry people where they want to go. Bring in JPL - who obviously knows how to land on Mars. 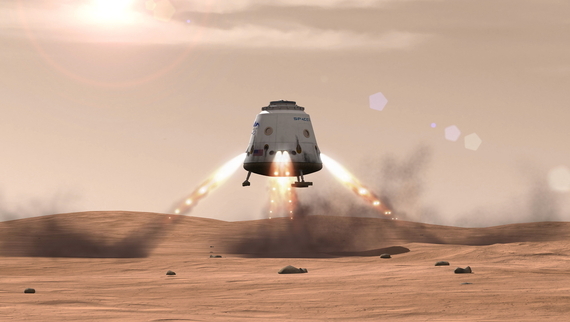 Aerospace and NASA have years of experience in these realms; we have almost none -- for now. Support space resource and industrial infrastructure. Multibillion-dollar satellites or voyagers to Mars and beyond, if we don't live off the land we will always only be visitors or wire stringers in territories we do not inhabit or control. Invest in space gas stations, oases, construction and tech that uses what is already out there through research and being an anchor tenant/customer. Most importantly, serve the greater good by releasing long-held beliefs and behavior based on a bygone era. The new reality is that NASA will not be the first to land on Mars in some Apollo-style aerospace industrial retro-dreamscape of a space program in 40 years. It isn't going to happen that way. We will open the frontier, but it will more resemble how people leveraging government investment led the way into the age of communications than what happened 50 years ago on the Moon. Please get this: We aren't doing this just to be your contractors, and those rich guys are just an early manifestation of us doing what we do best. We are the people, doing what you inspired us to do -- so embrace it, embrace us. Let us do the heavy lifting now. You can help clear the way -- as our champions. Science, exploration, settlement, security and most importantly hope and opportunity for generations to come -- we can have them all. After all my dear Washington, I know you have always wanted what is best for me. While I am a bit of a free spirit, I appreciate all you've done, and I want us to work together. So let's use this next year to build a new relationship. If we are willing to share our strengths over our differences, we can work as a family to make the future better for the children -- and after all, aren't they what this is all about?